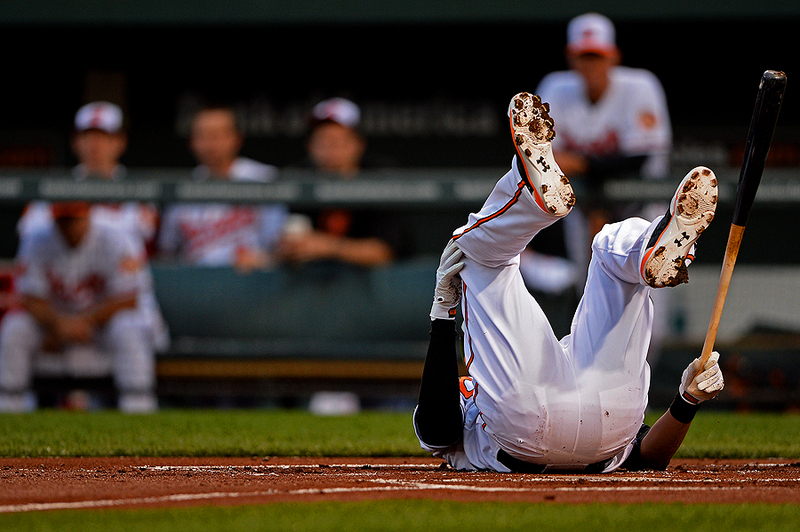 "Batter Manny Machado #13 of the Baltimore Orioles hits the ground after a pitch is thrown in the first inning against the Tampa Bay Rays at Oriole Park at Camden Yards on April 17, 2013 in Baltimore, Maryland." Baseball is back in Baltimore - I've been waiting for spring to return after a long winter. Since the end of football season, sports in my life have been few and far between. Although, since my last post, I've been swamped shooting a full range of action on different fields and tracks. I've mentioned it before - baseball is not my favorite sport to photograph, yet over the years it has really grown on me. As the season goes on, I find myself really enjoying documenting the games. Whether it's the days getting long or the evenings being warmer, something really excites me to shoot games at the ball park. It's still early in the season and much like the teams I'm covering, I'm trying to find my rhythm. Here is to summer and sports.